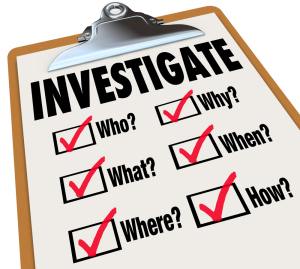 Matrimonial Investigations in New York can take on many different types of investigations. Matrimonial investigations can be in the form of a simple check on a cell phone to see if the person in question has been forthright in their disclosure of who they have been talking to and some cased where they have been. A cell phone check and examination can sometime be very revealing. Cell phone data can be either text communications, online searches and contacts, social media, dating sites and phone calls phone numbers contacts. All of this information can help to paint a picture of just who is the person in question? Are they being truthful? Are they still seeing their ex on the side? Are they still gambling away the family’s fortune or are they involved in still more dangerous activities like drugs or prostitution. There are as many reasons to want to gather this information about an individuals activities as are the reasons one would engage in such activities in the first place. The most obvious reason that one would want to gather information about a spouses where about’s and activities would be personal safety. Personal safety could run the gamut of financial security, personal security, physical security, public security from press or social media. Personal security in these matters can sometimes save a person from further damage in the future and help to mitigate what is currently going on in the present. Often times a spouse will leave clues as to their shortcomings weather on not they are aware of it or not. This is why it is important to have a professional team on your side to get down to the real issues at hand and solve the missing pieces of the puzzle that can sometimes come in extremely handy when lets say a divorce is imminent. With a professional team to help you gather this information through surveillance and other methods you can find out if the spouse is back on drugs or seeing someone else on the side or engaging in risky business endeavors.